“When our author, Susan Bagdach, told me that even in Europe, at least every third women is affected by physical and/or sexual violence, we were shocked at blOO. We love to support women’s projects offer our help wherever it is needed – we have lots of authors who personify female empowerment after all! Unfortunately, our possibilities are limited being a publishing company in its infancy but we’re determined to do whatever we can,” explains Nicola Ganaye, Creative Head of blOOturtle. “Holding half of the world’s population back will never be the answer to creating a more equal, sustainable and inclusive world. Change is not inevitable – it’s something we fight for on International Women’s Day and each day of the year,” says Sarah Cannata, a new blOO author, who is very much involved in the empowerment of women as the founder of women’s focused website, This Woman Can, in addition to being the author of the soon to be released children’s book, Willow Willpower. Nicole Madigan, the author of the encouraging and highly entertaining Ballerina Monkey and Darcy and the Dinosaurs, often underlines the strength of women in her work as a journalist. Meanwhile, writer of the extraordinary kid’s book, The Meadow, and founder of the intercultural care centre for girls and women, Holla e.V, Susan Bagdach said: “Every person is unique and can get involved by stopping violence against women and kids to make this world more liveable.” Bagdach will speak at this year’s International Women’s Day festival at City of Cologne. 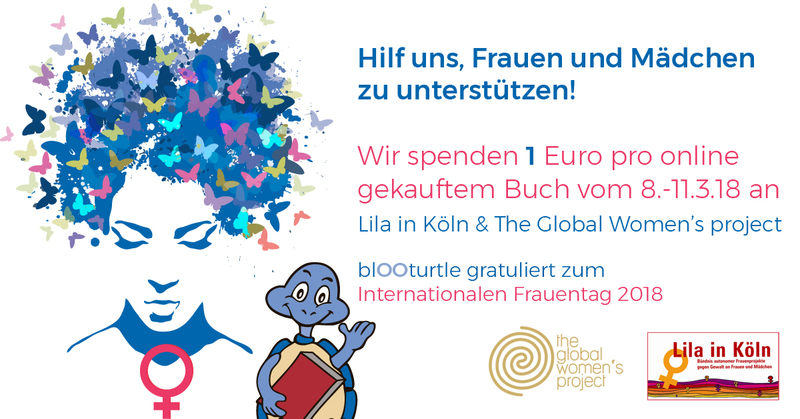 blOO’s idea to donate was driven by the desire to give everyone the chance to contribute to help women and girls by simply buying a beautiful picture book, containing important messages for kids. Two incredible organisations will benefit from the publisher’s International Women’s Day promotion. All donations collected for English titles will go towards The Global Women’s Project, an independent registered Australian non-profit organisation, who gives women around the world the tools and resources they need to build better lives for themselves, their families and communities. Meanwhile, Lila in Köln (Purple in Cologne) will gain the relevant donations from all German titles sold. The organisation assists and accompanies girls and women on a base of feministic society analysis. On a municipal, regional and federal level, it supports equal participation in all social scopes and strengthens the ideas of a self-determined life. blOOturtle’s campaign extends from 8 until 11 March 2018 in celebration of International Women’s Day. 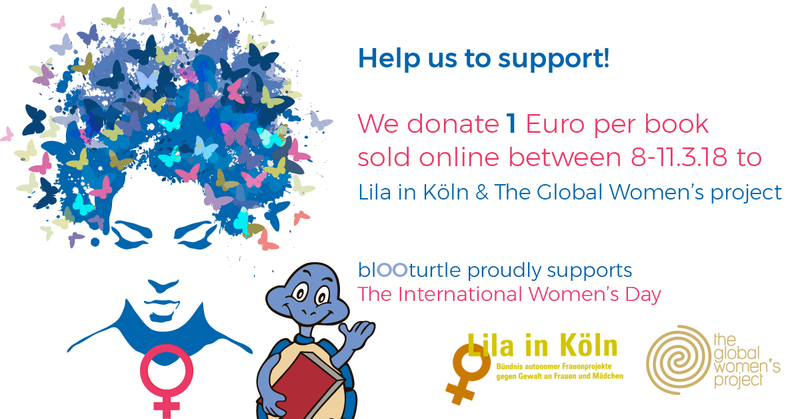 To support this worthy cause, you can buy any blOOturtle titles via our online shop at blOOturtle Publishing.